I have too many things. This little amp is surprisingly loud. Demos on YouTube I’m sure. I just had a hoon on it and it’s very satisfying. The only issue I found is a bit of rattle at highest volume. But at that stage the chimney in the room was also rattling . In a post Katana world small amps worth a bit less. Still has tags with $449 retail on it, but I’m sure they’re not that now. Last edited by Delayman on Sun Feb 03, 2019 9:32 am, edited 1 time in total. Any interest in a small tube amp? There's a guy on NZ Guitarist FB group who's looking for a small tube amp. I think he's the guy banned from this forum for asking too many inane questions or some such... probably a lot of history I am not aware of. 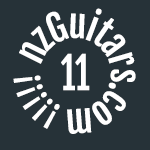 codedog wrote: There's a guy on NZ Guitarist FB group who's looking for a small tube amp. I think he's the guy banned from this forum for asking too many inane questions or some such... probably a lot of history I am not aware of. Thanks. I unsubscribed to all those groups aa I was getting tonnes of bogus friend requests. I'm trying to clear some things and get some funds so i've dropped this to $195 shipped for today. Google Tsa5 to see this little amp. This amp is still needing a new home. A tube amp with a built in tubescreamer for the price of a pedal!